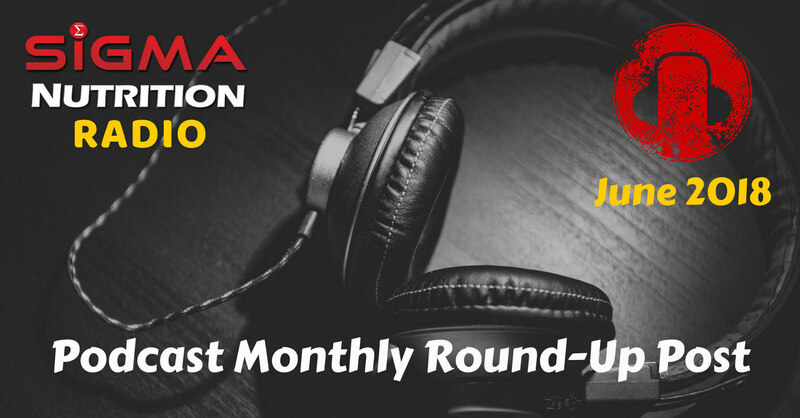 Welcome to the Podcast Re-cap post for the month of June 2018. This will be a breakdown of some key points that our re-cap author, Ella Whitcomb, took from the episode. Ted has been in the health and fitness industry for 19 years, initially as a personal trainer. He has worked with many busy professionals and celebrities including Richard Branson and Robert Downey Jr. His overarching goal is to help people lead better, more fulfilling lives—legendary lives. Through his podcast, his coaching and other projects, he has been able to impact thousands of people. Often when we speak about being ‘healthy’, eating whole foods, exercising regularly and getting sufficient sleep will be mentioned first. Ted, however, is particularly interested in other facets of health that aren’t given as much consideration, including psychological factors. Whilst, eating well and exercising is important, small dietary changes can have insignificant benefits on physiology when people are dealing with psychological difficulties or trauma. There is ample research showing the huge negative impacts of social isolation and loneliness on disease prevalence rates, physiological markers and mortality. Many of us feel lonely and lack deep relationships despite being more connected than ever. Humans thrive in communities and are looking to connect – in fact it’s imperative to our health! As coaches we focus on getting clients to complete their training programmes and adhere to certain diets but often neglect to understand them as individuals. A willingness to develop a deeper connection with your clients, can enhance their chances of long term progress and amplify how impactful you are on their lives. Midway through the episode, Ted bravely shares the traumatic experiences he endured whilst growing up and how this left him with negative thoughts about the world and himself. It was inspiring to hear Ted talk about some of the strategies he used to get himself out of ‘negative thought loops’ during these difficult times. Summarised below are these strategies. They have the potential to be used by many of us across a variety of scenarios. Ted recommends doing more of the things that make you uncomfortable. You want to push right to the limit of your ability, until something is no longer uncomfortable. This is how you can get to a state of flow. This is a state of optimal performance where we feel our best and perform our best. It can get you out of the past and stop you focusing on the future. Most people know what to do but aren’t taking action. The quest for more information is a form of procrastination, it gives you the illusion that you are doing something but the net result is zero, as nothing changes. People are great at reading and consuming information but what are you doing differently? How are you applying this? You must take this knowledge and do something with it. This episode discussed health from a broader perspective and gave Ted the opportunity to share his experiences of trauma. From this came some practical applications that we can apply to our own lives to get us through challenging times or to help us move beyond our limiting beliefs. Bryce is the founder of The Strength Athlete (TSA) and a world-class elite-level powerlifter in the IPF. Through his success as an elite lifter, Bryce’s dream is to pass on his knowledge and skills through TSA online powerlifting coaching. He passionately advocates for the application of science, the use of evidence-based philosophies, and skepticism of pseudoscience. This episode is all about developing athletes beyond their physical capabilities. Bryce emphasises the importance of developing individuals who can, not only move well, but, who are attached to their sport in healthy ways. Participating in sport can have positive impacts across many areas of life. In general, sport can teach you how to overcome challenges and give you the opportunity to discover the rewards of hard work and dedication. Specific sports can offer their own unique benefits.For example, you may develop perseverance from marathon running, patience from golf or communication skills from team sports. Something that I found important in this episode was the discussion surrounding self-identity and success within your sport. If you ask a powerlifter what success is they will say winning competitions, achieving PBs or lifting heavier. However, Bryce emphasises how important it is to find other ways to be successful. There are only so many years you can compete and perform at peak level. By tying your whole identity to your success within a given field, you’re likely to feel unfulfilled or develop an unhealthy relationship with it. Bryce provided some practical strategies to promote a healthy relationship with your sport. These can be applied to other areas of your life to improve fulfilment. They can also be used when you’re stuck in a bit of a rut or find yourself not enjoying something as much as you typically do. You should spend your energy focusing on yourself and your progress. Seeing others progressing faster than you won’t allow you to work harder if you’re already trying your best. However, it can negatively impact your self-esteem. Comparing yourself to others can distract from the things you are great at and focus your attention on your the less developed areas. This may ultimately lead to less enjoyment. Try to diversify your hobbies and interests so that your sport doesn’t consume your life and your entire identity isn’t based on your success. You can become too focussed on being a competitive athlete that you forget that you started because you enjoyed it. Bryce recommends going back to doing it because it’s fun and taking some of that pressure off. In this episode, Bryce speaks about the wide benefits that partaking in sport can have. However, he recognises that it’s important to maintain a healthy relationship with your sport and provides practical advice on how you achieve that. Lachlan is a qualified dietitian, who has worked in both the public and private health systems. In these settings, Lachlan provided high quality, evidence based nutrition advice to a variety of patient groups, including cardiology, diabetes, paediatrics and weight loss. He has previously held the position of Lecturer and Tutor of nutrition and exercise at the Australian Catholic University and is currently undertaking a PhD in metabolism and bodybuilding at the University of Sydney. In this episode, Lachlan discusses the key findings and implications of his recent case study of 9 natural bodybuilders during a prep phase. Lachlan then moves on to discuss the psychological condition muscle dysmorphia. There has been very little research exploring the practises of drug-free body builders, and the implications of these practises, from a physiological and metabolic view. In this study, Lachlan followed 9 participants over a five month period, four of which were pre-competition and one of which was post-competition. During this time, the researchers didn’t prescribe a diet or training programme, instead they analysed and assessed the participants’ habitual behaviours. Of the 9 participants, 2-3 were already 16 weeks into their prep and were very lean with 8-9% body fat, the others had around 12-13% body fat from the offset. These findings are particularly interesting as they go against the long standing belief that you can’t gain muscle whilst in a calorie deficit: there is now growing evidence that you indeed can. Another interesting finding was that of a maintenance of RMR. Typically, you’d expect this to reduce in response to the attack on energy stores. However, the maintenance of lean muscle mass may have helped to prevent this from occurring. What makes this study particularly interesting is that it shows the benefit of longer prep times, 16 weeks, as a way of getting to your ideal physique without sacrificing lean mass. However, he also came across some questionable or ill-advised tactics including water loading, drinking wine or smoking before stepping on the stage to boost metabolic rate or improve vascularisation. In the second half of this episode, Lachlan discusses muscle dysmorphia. This is a psychological condition where an individual has a distorted perception of themselves; they perceive that they are small whereas we’d see them as muscular or large. They have a constant dissatisfaction with their body regardless of their composition. Individuals with muscle dysmorphia may follow strict training regimes and express anxiety about avoiding these regimes. They may exhibit changes in social behaviour e.g. won’t have dinner with friends as they’re worried they won’t get enough protein etc. Typically they will be stringent with the types of food they eat and when they are eating. This is something that dietitians and practitioners should be aware of. Lachlan has found that the rate at which the body builders were losing weight was highly correlated with muscle dysmorphia symptoms. Those having to lose more weight per week tended to be more disordered in their eating practises and show more symptoms. He concluded that it is safe to take part in bodybuilding but maybe the context of the sport may attract those susceptible in a bid to appease some of their symptoms. However, for people who don’t express psychological features associated with muscle dysmorphia, starting bodybuilding doesn’t appear to increase their chances of developing it. In this episode, Lachlan spoke through the key findings of his research on 9 natural bodybuilders during a prep phase. He moved on to discussing muscle dysmorphia, and how this may relate to bodybuilding. In the future, Lachlan would like to conduct more longitudinal research to determine how the symptoms of muscle dysmorphia may change over time. Ciaran has a BSc. in Sport & Exercise Science from the University of Limerick. He is a strength & conditioning coach in Ireland and works online with combat sport athletes on their nutrition and fight prep here at Sigma Nutrition. He has experience as a fighter himself, competing at a national-level for many years in amateur boxing, as well as competing in kickboxing, K1 and BJJ. In this episode, Ciaran discusses the research paper: Weight Regain, But Not Weight Loss, Is Related to Competitive Success in Real-life Mixed Martial Arts Competition. The purpose of this study was to discover the nutritional and behavioural strategies used by MMA fighters for rapid weight loss (RWL) and weight regain, and the effects that these had on fight outcomes. The participants consisted of 15 professional male MMA athletes, who had experience competing in tournaments and rapid weight loss protocols. 24 hours before the event they were weighed and were required to fill out three questionnaires: 1) profile and mood state 2) 24 food recall and 3) their method of weight loss. The next day, prior to the fight all the procedures of the first day were repeated with the exception of 3. For the analysis, they were split into two groups: the 8 winners and the 7 losers. Both groups lost the same percentage of body weight (~7%) and suffered the same amount of discomfort during the weight-making process. The amount lost ranged from 6-22kg. As the title of the study suggests, the difference in weight regain seems to be related to the outcome of the competition. This shouldn’t be too surprising once we apply what we know from the evidence. Increased carbohydrate, energy and fluid post weigh in would increase phosphagen and glycogen stores and restore physiological status thus, at least partly, explaining the increases high intensity efforts and strikes showed by winners. Sleep and stress – Weight cutting protocols can cause physiological stress on the body. By increasing calorie intake, the winners may have lowered their cortisol levels thus leading to better sleep, which in turn can have big influences on performance. This is the first study to show that rapid weight loss and weight regain strategies are associated with technical-tactical performance as well as competition outcomes. This demonstrates the importance of athletes using appropriate weight loss and regain strategies in a bid to promote performance. Beyond that, this is also vitally important from a health perspective. It is all too common for fighters to conduct dangerous weight making methods by following protocols that other fighters appear to use or listening to older fighters and colleagues who may not be familiar with the best practise based on the literature. Such methods include: increased exercise practises followed by restriction of liquid through saunas, spitting, laxative use and all day fasting. It is important to note that there are some serious dangers of dehydration and rapid weight loss including headaches, fatigue, increase heat moments, increased heart rate, fever, nausea. In addition to be dangerous they are also not ideal for peak performance. In conclusion, athletes should seek assistance from nutrition coaches that can provide evidence-based recommendations that make the weight cutting and regaining periods more effective and safe as well as raising competitive performance. Such recommendations would include a rapid weight loss strategy that minimises negative effects and a regain strategy that maximising muscle glycogen synthesis and hydration.